Lineage. Established as 354 Fighter-Day Wing on 26 Sep 1956. Activated on 19 Nov 1956. Redesignated as: 354 Tactical Fighter Wing on 1 Jul 1958; 354 Fighter Wing on 1 Oct 1991. Inactivated on 31 Mar 1993. Activated on 20 Aug 1993. Assignments. Ninth Air Force, 19 Nov 1956; Twelfth Air Force, 1 Jul 1960; Ninth Air Force, l Jan 1962; 833 Air Division, 1 Oct 1964; Fifth Air Force, 5 Jul 1968 (attached to 4 Tactical Fighter Wing, 5-24 Jul 1968; Detachment 1, HQ Fifth Air Force [Fifth Air Force ADVON], 25 Jul 1968-14 Jun 1970); Ninth Air Force, 15 Jun 1970-31 Mar 1993 (attached [as HQ 354 TFW (Advanced)] to Thirteenth Air Force, and further attached for control to Seventh Air Force, 14 Oct 1972-18 May 1974). Eleventh Air Force, 20 Aug 1993-. Operational Components. Groups. 354 Fighter-Day (later, 354 Operations): 19 Nov 1956-25 Sep 1957; 20 Aug 1993-. 455 Fighter-Day: attached 19 Nov 1956-1 Jul 1957. Squadrons. 16 Tactical Fighter: attached 29 May-14 Jun 1970. 20 Helicopter: 16 Jul 1959-8 Mar 1960. 68 Tactical Fighter: attached 20 Jun-9 Dec 1969. 74 Tactical Fighter: attached 5 Jul-28 Dec 1973. 127 Tactical Fighter: 5 Jul 1968-10 Jun 1969. 166 Tactical Fighter: 5 Jul 1968-10 Jun 1969. 334 Tactical Fighter: attached 16 Dec 1969-31 May 1970. 335 Tactical Fighter: attached 8 Dec 1969-23 May 1970. 352 Fighter-Day (later, 352 Tactical Fighter): 25 Sep 1957-15 Aug 1966 (detached 16 Jul-26 Oct 1958, 14-23 Apr 1959, 12 Jan-14 May 1960, 30 Nov-5 Dec 1960, 15 Feb-4 Mar 1961, 14 Nov 1961-11 Mar 1962, 21 Oct-l Dec 1962, 14 Jan-21 Apr 1963, 7-18 May 1963, 30 Jun-18 Sep 1963, 10 Dec 1963-12 Mar 1964, 20 Nov 1964-18 Mar 1965, and 14 Jul-13 Aug 1965). 353 Fighter-Day (later, 353 Tactical Fighter; 353 Fighter): 25 Sep 1957-27 Apr 1966 (detached c. 9 Sep 1958-20 Feb 1959, 8-12 Jul 1959, 14 Sep 1959-19 Jan 1960, 15 Jul-16 Nov 1961, 8 Oct 1962-20 Jan 1963, 15 Sep-16 Dec 1963, 25 Aug-4 Dec 1964, 2-28 May 1965, 14 Jul-13 Aug 1965, and 25 Aug-6 Dec 1965); 15 Jul 1971-15 Dec 1992 (detached 15 Aug 1990-25 Mar 1991). 354 Tactical Fighter: attached 14 Jan-5 Jul 1973. 355 Fighter-Day (later, 355 Tactical Fighter; 355 Fighter): 25 Sep 1957-22 Apr 1968 (detached 15 Jul-26 Oct 1958, 19 May-17 Sep 1959, 10 Sep 1960-16 Jan 1961, 5 Sep-19 Nov 1961, 7 Jul-14 Oct 1962, 21 Oct-l Dec 1962, 6-20 Feb 1963, 3 Jul-17 Sep 1963, 8-15 Jun 1964, 15 Jun-28 Aug 1964, 2 Jul-25 Sep 1965, 4 Dec 1965-23 Apr 1966, and 3 Feb-22 Apr 1968); 1 Nov 1970-31 Mar 1992 (detached 16 Aug 1990-25 Mar 1991). 356 Fighter-Day (later, 356 Tactical Fighter; 356 Fighter): 25 Sep 1957-29 Nov 1965 (detached 17 Jan-18 May 1959, 10 Oct-13 Nov 1959, 1 May-14 Sep 1960, 9-17 Jun 1961, 5 Mar-11 Jul 1962, 21 Oct-l Dec 1962, 7 Apr-5 Jul 1963, 27 Oct-24 Nov 1963, 3 Mar-18 Jun 1964, 16 Mar-8 Jul 1965, and 14 Jul-13 Aug 1965); 15 May 1971-30 Jun 1992 (detached 7 Sep-14 Nov 1974 and 30 Aug-22 Sep 1976). 358 Tactical Fighter: attached 28 Dec 1973-15 May 1974. 478 Tactical Fighter: attached 21 May-14 Jun 1970. 511 Tactical Fighter: 15 Jun 1970-15 Jul 1971. 560 Tactical Fighter: attached 23 Jun-17 Dec 1969. 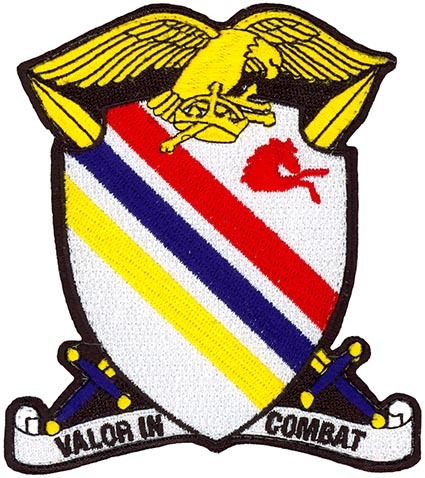 4430 Combat Crew Training: 15 Jun 1970-31 Jul 1972. 4456 Tactical Fighter: 15 Jan-15 May 1971. 4554 Tactical Fighter Replacement: 15 May 1972-15 Oct 1975. Stations. Myrtle Beach AFB, SC, 19 Nov 1956-2 Jul 1968; Kunsan AB, South Korea, 2 Jul 1968-14 Jun 1970; Myrtle Beach AFB, SC, 15 Jun 1970-31 Mar 1993. Eielson AFB AK, 20 Aug 1993-. Aircraft. RF-80, 1956-1957; F-100, 1957-1969; H-21, 1959-1960; F-4, 1969-1970; T/AT-33, 1970-1976; A-7, 1970-1978; A-10, 1977-1992. A-10, 1993-2007; F-16, 1993-. Operations. Beginning in 1956, the wing trained for fighter and fighter-bomber missions. From Jul 1958 through Apr 1966, it had one or more squadrons constantly deployed overseas. During the Cuban missile crisis of 1962, part of the wing manned a provisional air division at McCoy AFB, FL. During the Dominican Republic crisis of 1965, the wing deployed more than 400 people and 18 fighters to Ramey AFB, Puerto Rico, and San Isidro AB, Dominican Republic. The conflict in Southeast Asia drained wing strength; one squadron moved to Japan in Nov 1965, another to Spain in Apr 1966, and another to South Vietnam in Aug 1966, leaving the wing with a single flying unit. This last squadron moved to South Vietnam in Apr 1968. The wing had no units and existed primarily on paper until it moved to South Korea in early Jul 1968. Several rotational squadrons operated under the wing there. The 354th returned to the United States in 1970, where it trained combat crews. An advance element of the wing moved to Thailand and commenced combat operations in Southeast Asia on 16 Oct 1972. It interdicted lines of communications to halt the flow of North Vietnamese supplies to enemy units in South Vietnam, provided close air support to ground troops, and escorted surface ship convoys up the Mekong River to Phnom Penh, Cambodia. The wing flew combat operations in Vietnam until mid-Jan 1973, in Laos until 22 Feb 1973, and in Cambodia until 15 Aug 1973. Tactical units rotated between Thailand and the United States until 23 May 1974, when the advance element returned to join the rest of the wing. Upon its return to the US, it participated in numerous tactical exercises in both the United States and deployments overseas, focusing primarily on training for global contingencies. Elements of the wing participated in operations in Southwest Asia, 15 Aug 1990-25 Mar 1991, inflicting heavy damage to Iraqi armor and artillery emplacements, as well as cutting off enemy supply lines. Beginning in 2000, the wing trained for the defense of northwestern North America and for contingency operations worldwide. Prepared aviation forces for combat, deployed airmen in support of global operations, and enabled the staging of forces, 2006-. Campaign Streamers. Vietnam: Vietnam Ceasefire. Southwest Asia: Defense of Saudi Arabia; Liberation and Defense of Kuwait. Decorations. Presidential Unit Citation: Southeast Asia, 10 Oct 1972-30 Apr 1973. Air Force Outstanding Unit Awards: 1 Oct 1962-31 Dec 1963; 15 Jun 1970-31 May 1972; 1 May 1974-30 Apr 1976; 11 May 1976-31 May 1977; 1 Jul 1985-30 Jun 1987; 1 May 1990-15 Mar 1992; 11 Sep 2000-10 Sep 2002; 17 Sep 2003-16 Sep 2005; 17 Sep 2005-20 Oct 2006. Republic of Vietnam Gallantry Cross with Palm. Bestowed Honors. Authorized to display honors earned by the 354 Operations Group prior to 19 Nov 1956. Service Streamers. None. Campaign Streamers. World War II: Air Offensive, Europe; Normandy; Northern France; Rhineland; Ardennes-Alsace; Central Europe; Air Combat, EAME Theater. Decorations. Distinguished Unit Citations: ETO, [Dec] 1943-15 May 1944; France, 25 Aug 1944. French Croix de Guerre with Palm: 1 Dec 1943-31 Dec 1944. Emblem. Approved on 18 Oct 1957; slightly modified on 1 Jun 1971.